Babblings of a Mommy: 3 Great Beauty Products That I Tried, and Loved! 3 Great Beauty Products That I Tried, and Loved! I was excited to try this primer because it promises a perfect canvas for your foundation and also quench parched skin and seal in moisture. Sounds like the perfect primer right? Well, it is! The formula is silky smooth and makes my makeup stay on forever! The hydrating properties keeps my skin nice and moisturized, even during the winter months when my skin tends to be very dry. It goes on clear and is non greasy. I can't tell you how good this primer makes my skin look and feel. Love it!! Want to know my secret weapon? This is it right here. This baby will make your make-up appear flawless! 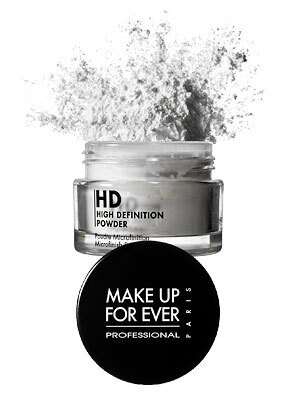 It's a lightweight powder that gives you an almost airbrushed look and goes on clear. It takes away all the shine and leaves a beautiful matte finish. I tend to use this only on date nights and special occasions, but it can also be worn alone with no foundation. This is a one-in-all product. It's a moisturizer, sunscreen, serum treatment, and hides uneven skin-tones to minimize the need for foundation. I'll be honest and tell you when I first tried this beauty balm I was a little hesitant about the results, but I warmed up to it after a few applications. Here's the thing, I only use this product when I don't feel like putting on a ton of makeup and just want a natural look. It's very lightweight and it doesn't hide all your imperfections, but it does have enough coverage to feel like your skin isn't naked. I recommend that you wait until it completely blends in because at first you might feel like it's too light for your skin tone. I definitely use it when I just want to slap on some mascara and lipgloss and head out the door. *Dr. Jart's Premium BB is intended for fair to light skin only. Have you tired any of these products? *Dr. Jart+ Premium BB was provided for review purposes. All other products were acquired by me. I have the smashbox stuff. I have not used it yet. Maybe I will try it tonight! Awesome. Let me know how you like it!